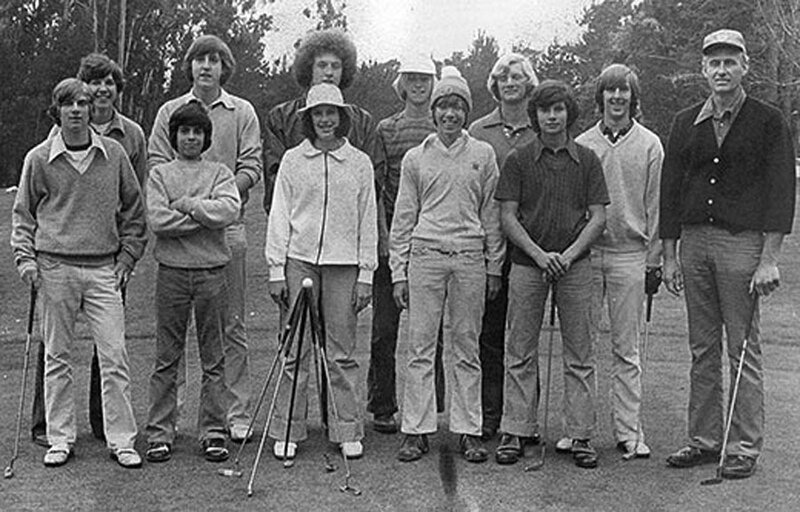 Juli Inkster is currently Pasatiempo’s LPGA touring professional, and the club is proud of its long association with one of the game’s all time greats. Juli was born in 1960 in Santa Cruz, CA, and three years later her parents moved into a home along the fourteen fairway of Pasatiempo Golf Club. Even at age 3, Juli was very determined and competitive in everything she did, especially with her brothers. It started then, she wanted to win and be first. Juli’s parents reflect that she was always pursuing things with substantial effort. She was, of course, a tomboy and always felt equal to her brothers. She could also be a girl when it helped her position. Juli often tagged along with her father when he was coaching Little League. She liked school, especially the social part of it. She played a number of sports during her school years: track, swimming, softball, basketball and tennis. Juli started working at Pasatiempo Golf Club before taking up the game of golf. She worked in the cart barn, picked up the driving range and worked at Hattie’s Snack Shack at the 10th tee. As she was turning 15, Juli took up golf with a real passion. 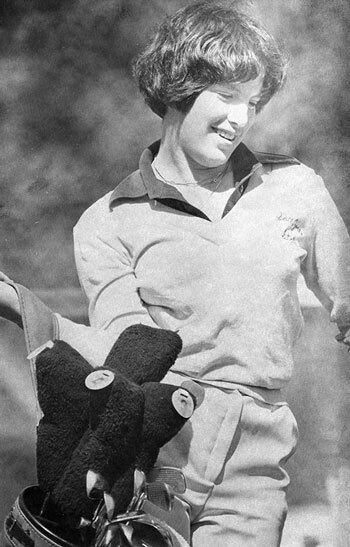 She practiced hard and played with a passion for the game. She played on the Harbor High School Boy’s Golf Team, and made their traveling team where she and the team won tournaments. Currently, Juli is Pasatiempo Golf Club’s touring professional and has kept a strong relationship with Pasatiempo over the years. You can find her playing the course with her family, friends and associates when she gets the time. Juli Inkster is one of the all time greats on the LPGA tour, and visitors to Pasatiempo Golf Club can review her many accomplishments and see memorabilia from her career in a special commemorative area near the front entrance. She has also been a terrific mother to her two teenage daughters Hayley and Cori with her husband, Brian Inkster, who is credited with teaching her the game. Juli lives in Los Altos, California with her family, but often visits her parents and family at the house on the fourteenth fairway of Pasatiempo Golf Course in Santa Cruz, California. Juli has played on LPGA tour since 1983, during that time she has become a role model for the players, especially the younger players both on and off the course. Juli Inkster is a significant golf star over time, but you would never know it, to this day she has a humble, hard-working, sense of humor with values in everything she does. More info: Further biographical information, lifetime results, and statistics can be obtained from the Juli Inkster Profile on LPGA.com. Note on the Photographs: The photos of Juli Inkster are courtesy of the LPGA.